Gabriel Sherman on Roger Ailes, Trump, and the Murdochs. The nation’s foremost Fox News beat reporter on what’s going on behind the scenes at the cable news network. Roger Ailes, photographed on Nov. 13, 2015, at Fox News’ Manhattan headquarters. On Thursday, Roger Ailes—the man who created the Fox News Channel under Rupert Murdoch and built it into the most powerful and influential cable news network in the country—stepped down. The decision to do so came after pressure from the Murdoch family—particularly Rupert’s sons, Lachlan and James—which was responding to numerous claims of sexual harassment against Ailes, including a lawsuit by former Fox & Friends co-host Gretchen Carlson. By the time the network’s newest star, Megyn Kelly, reportedly told independent investigators that Ailes had harassed her, there was little doubt that he would be forced out. Gabriel Sherman, a reporter for New York magazine and author of a decidedly unauthorized biography of Ailes, has broken the lion’s share of news about Ailes’ conduct and the subsequent News Corp. investigation. I spoke by phone with Sherman after Ailes’ departure. During the course of our conversation, which has been edited and condensed for clarity, we discussed the Murdoch family’s internal debates, Donald Trump’s relationship with Roger Ailes, and the future of the network. Isaac Chotiner: Was the decision to force Ailes out one that caused a significant dispute within the Murdoch family? Gabriel Sherman: Oh, without question, the last two weeks illustrate the shifting power dynamics within the Murdoch family over the control and future of Rupert Murdoch’s media empire. Based on all of my reporting, it is unquestionable that the swift ousting of Ailes would not have happened if Rupert’s two adult sons, James and Lachlan, had not been elevated last year to co-leadership positions of the company. How much of this was Rupert losing a debate with his sons, and how much of it was him getting older and stepping aside a bit? The fact that 21st Century Fox announced an outside investigation was really pushed by James. He is known to be a very aggressive executive. My sources say that he pushed both his father and brother and said that they needed to get in front of this. I think Rupert thought it could buy time. Rupert is famously loyal, and although he has fired executives, he takes care of people when he fires them. He gives them a lot of money. But James drove this. It took two weeks to get Rupert on board. James wanted, my sources say, to fire him for cause and not pay him a dime, and he wanted to kick him out the door. The push-pull among the three Murdochs led to the settlement where Ailes resigned and receives upwards of $40 million. For people who have only heard of James Murdoch through his role in the phone hacking scandal, to see him as, relatively speaking and aside from the women who came forward, the good person in this thing is striking. What do you think drove him: hatred of Ailes, fear of the company’s reputation, or actually some sort of moral revulsion? I think a combination of all of those. James Murdoch is, by my reporting, extremely turned off and horrified by the concept of a Trump presidency, and he sees the politics of the right-wing populism fueled by Fox News as a catalyst that allowed Trump to become the Republican nominee. He’s been wanting to get Ailes out. What do your sources tell you on the state of the Trump-Ailes relationship? You recently reported that Trump was advising Ailes. The relationship is close. It’s complicated, but it’s close. The two guys have known each other for decades. They are both New York media power brokers who have gone way back. And, you know, they have had tension. Roger Ailes is used to controlling events and when he doesn’t control events, he gets very angry. When the Trump­–Megyn Kelly feud happened last summer, Ailes couldn’t control Trump. That’s why Ailes and him clashed; it wasn’t about ideology. The point is that their relationship is still good. They speak, by my reporting, very regularly. Yes, Trump did talk to Roger Ailes after Carlson filed her lawsuit and gave him advice on how he should navigate the crisis. I did think it was weird to blame Ted Cruz’s father for all the sexual harassment. Is there a step too far for Trump? I was kidding. But do you have any sense of what kind of advice Trump gives Ailes? I assume it is about standing strong and attacking. The way it has been explained to me by people briefed on their talks is that Trump has given him that strategic advice. Trump brags about how many times he has been sued. Look at Trump University. He fights these lawsuits. There is also a lot of talk that Ailes could go work for Trump. The terms of his severance deal with Murdoch has a noncompete, which means he can’t go to another news network or start another news network. I have asked my sources inside the company, and they make it very clear that there is no language in the deal that would bar him from getting involved in the campaign. I get messages all the time from people who have known Ailes for decades who say that when they hear a Trump speech they hear so many echoes of Ailes. There is a scenario where Ailes could advise Trump and be on the phone with him, giving him talking points and media strategy, and he wouldn’t have to take a formal role. There are two things. 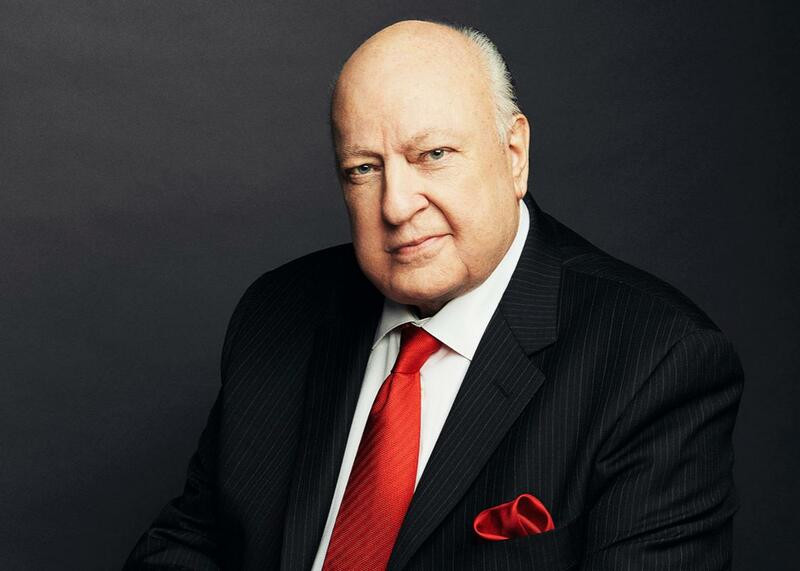 Does Roger Ailes want a comeback? If he hitches himself to Trump and Trump loses, does he want his epitaph to be that he was kicked out of his company amidst a wave of really disturbing and frankly gross sexual harassment allegations and hitched himself to a potentially losing presidential campaign? Or does he want to go away quietly, hope this blows over, and maybe in a couple years write a book or do something to try to rehabilitate himself? Would Trump even want him, yeah, that’s the last point. Look at Trump’s numbers with women. Do you want your chief media strategist to be the guy who has just extracted himself from a highly public sexual harassment scandal? How did Gretchen Carlson’s lawsuit go over at the network? The Carlson lawsuit went off like a bomb. Her lawyers did not try to negotiate a settlement with Ailes before they filed. They launched a pre-emptive media campaign and got a jump on the narrative. Inside Fox News, Carlson was not seen as a big star. People were surprised that it was her who, ultimately, led to his downfall. The public is seeing a very different side of Gretchen Carlson, who was famously skewered by Jon Stewart. She is a Stanford graduate and very accomplished woman. Who co-hosted an insane and insanely racist morning show. Yeah exactly, and at the intelligence level of a middle-schooler. And yet we know she is a very strong and intelligent woman, and we are seeing that woman now. The contrast between the television character she played and the person she is is part of the reason the story is so powerful. The second thing is that, once this story started to pick up steam, there was really a sense of panic and dread that took hold within Fox News. For 20 years, people who worked for Ailes—it’s like a cult of personality; they always have faith in the leader and believe he will lead them out of it. I heard a funny story, which was that around the Fox News booth at the RNC, where all the producers and talent hang out, when I reported that the Murdochs had decided to remove Ailes, I heard that inside the Fox News booth in Cleveland, people were saying, “Gabe Sherman is wrong. He is always wrong.” Inside Fox News it is like North Korea. Ailes creates a distorted reality. He tells people I am wrong and the Fox PR person, Irena Briganti, tells people I am wrong and has tried to attack me to reporters. There was disbelief. Ailes had presented this image that he was infallible. When the announcement came, there was this shock. This morning I am getting calls: People don’t know what to do. There is no one giving marching orders every day. No, they aren’t mutually exclusive. The culture of sexual harassment is widely known at Fox News. The whole idea that it is a family values network is incredibly cynical, and everyone knows that. But the fear and psychological control that Ailes had over his employees—if he says the sky is green and not blue, even very intelligent people, maybe even liberals, tend to start believing it. He has this charismatic, cultlike power to shape a corporation in his image. And that’s why Fox, whatever it becomes, is going to be very different. There is no executive in American media and politics who has that charisma and that ruthlessness, and, as these allegations have shown, the kind of darkness of his mind to control women and people. Do you think the Murdochs were aware of the culture as it pertained to sexual harassment? Rupert Murdoch, based on what we know publicly, was clearly aware of the culture at Fox News: In 2004, Bill O’Reilly was accused by a former producer, Andrea Mackris, of sexual harassment in the whole loofah scandal. Fox’s biggest host at that point was exposed. How much tension do you expect between on-air talent? Throughout the convention, people like Brit Hume were tweeting support for Ailes even after he was gone, and yet appearing on air with Megyn Kelly? Inside Fox, and also at 21st Century, there is a huge amount of misgivings about the people who came forward to denounce Ailes’ accusers and support Ailes. He rallied especially female employees to issue statements to the press, and there is a feeling that, now that we know the seriousness of the scandal, it is untenable that these Ailes loyalists and dead-enders could really stay. They have been so discredited. There is a strong feeling that the people who spoke out so aggressively against Carlson, that their time could be cut short at Fox. I wrote a piece Thursday saying that if Fox News could keep its talent, it is a pretty well-oiled machine by now and should be able to keep thriving. I sense you disagree. Yeah, I disagree. But it’s a question of timing. Could they ride this out through November? Sure, because they know the storyline and have the narratives Ailes has teed up for them: Benghazi, Clinton Foundation, Bill Clinton’s past affairs. They know the playbook for the next six months. The real danger is that post November, with a political realignment under either a Clinton presidency or a Trump presidency, there is not going to be a conductor guiding the orchestra about what music to play. Fox exists as a megaphone to broadcast Roger Ailes’ master narrative about American politics. You said earlier that James Murdoch was disgusted by Trump, but his father seems not to be. Rupert is much more of an opportunist and pragmatist. Just look at his tweets. He was disgusted, but as it became more and more inevitable that Trump was going to be the nominee … there have been private meetings and conversations between Rupert and Trump’s son-in-law, Jared Kushner, and Kushner has also been intensely lobbying Robert Thomson, who runs Murdoch’s newspapers. Rupert has gotten onboard, but I wouldn’t say he is enthusiastic. He made a business calculation. You teed up my final question: Rupert is a pragmatist, and he makes a lot of money because Fox News is a somewhat crazy right-wing network. I wouldn’t say somewhat. I would just say crazy. Fair enough. But do you see the Murdoch sons as being equally pragmatic and willing to allow this level of craziness to continue in the name of profits. That is a good question. It is too early to tell. By announcing that Rupert is going to be CEO, it buys them time. My sense is that they are not going to just rip the place up before November. But I think they will be watching the political landscape in America as the election unfolds. They have people right now looking at how they are going to reposition this network for a post-2016 landscape.